For 36 years, Coraggio has earned a distinguished reputation for excellence in both our service and our product. 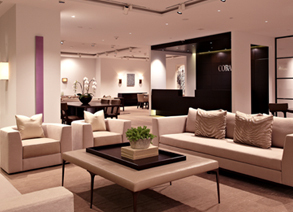 Commitment to craftsmanship, quality and customer care has never wavered and is our hallmark. Coraggio’s refined online presence in 2015 will provide Designers with detailed views of our Collections and the specifications, tools and pricing to further assist in their implementation. There have been many new developments as Coraggio moves more fully into the Digital Age with an elevated Web and Mobile strategy. Expect a wealth of new functionality allowing Designers to browse Collections, create light boxes and stay current with the latest events and releases. 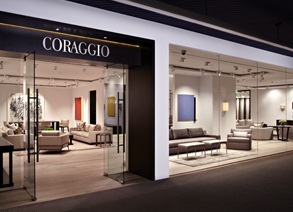 After years of intense preparation, Coraggio has opened its' doors to their freshly imagined, chic new flagship showroom in Los Angeles, California. 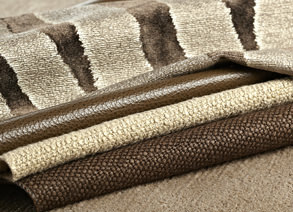 Highlighted is the debut Furniture Collection alongside the extensive Textile Library Designers have come to rely upon and expect at Coraggio.